For years, Midland High Boys Basketball Coach Jack Stephenson had a special dream… He believed we could hold a first class high school basketball tournament during the holiday break between Christmas and New Year’s. Such a tournament would attract some of the best teams in the state and nation, allowing the local teams to face challenging competition while staying at home for the holidays. In the fall of 1993, Coach Stephenson shared his dream with Byron Johnston. Through Byron’s efforts, we held the first Holiday Classic basketball tournament December 28-30, 1993. Byron had already started work on the second Holiday Classic when he lost his life in a vehicle accident, July 24, 1994. We have named this tournament after Byron Johnston to honor him for making the Holiday Classic a reality, and more importantly, for his involvement in the lives of so many of our young men and women. 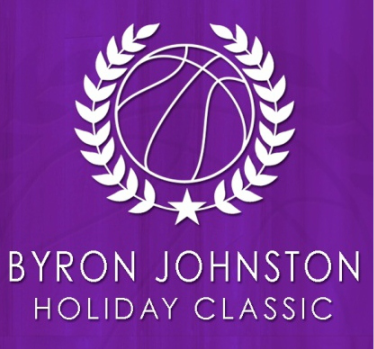 Now in the 26th year of the Holiday Classic, we continue Byron’s effort to create an environment where these high school athletes have the opportunity to feel the exhilaration of competing at a higher level. The Byron Johnston Holiday Classic Tournament Committee is committed to honoring Byron by making this tournament the best it can be and to continue improving it each… just as Byron would have.